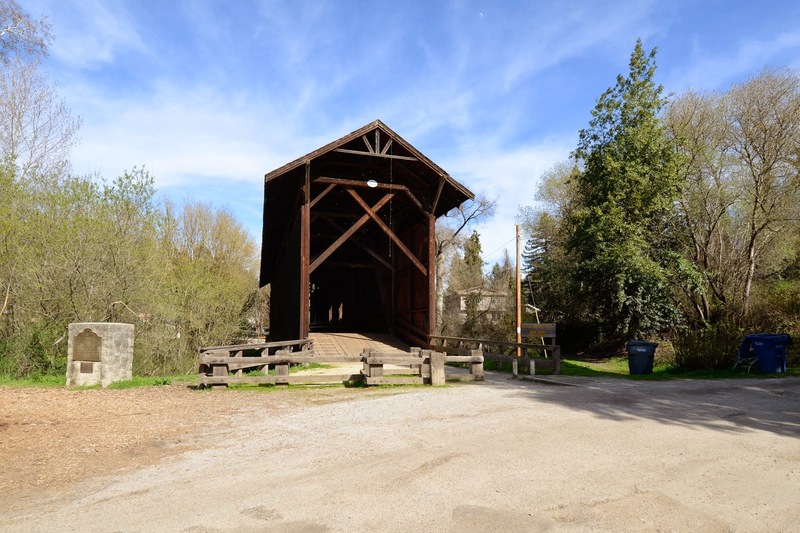 A covered bridge across the San Lorenzo River was built in the town of Felton in 1892. It was originally built as a timber through truss but it was covered with a roof a few years later to protect the vulnerable timber deck from all the rain. 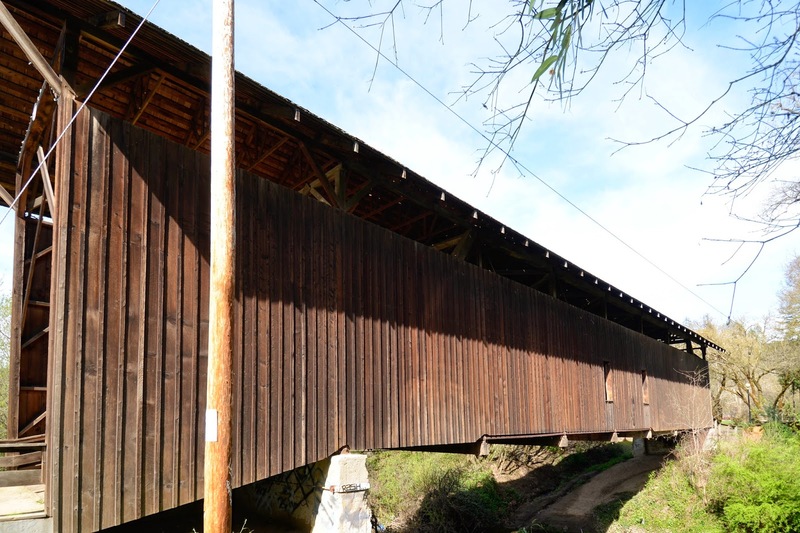 The Felton Covered Bridge is one of the newer and one of the shorter covered bridges in California. However, the addition of the roof truss also made it the tallest (at 35 ft) covered bridge in the United States. It is also one of the last covered bridges made of redwood. The bridge was closed to traffic in 1937 and became the first bypassed bridge in the western U.S. to be restored as an historic landmark. Money was raised for the original bridge with a costume ball and the bridge continues to be maintained with an annual pancake breakfast. Santa Cruz County, California Bridges: Felton Covered Bridge across the San Lorenzo River by Mark Yashinsky is licensed under a Creative Commons Attribution-NonCommercial-NoDerivatives 4.0 International License.